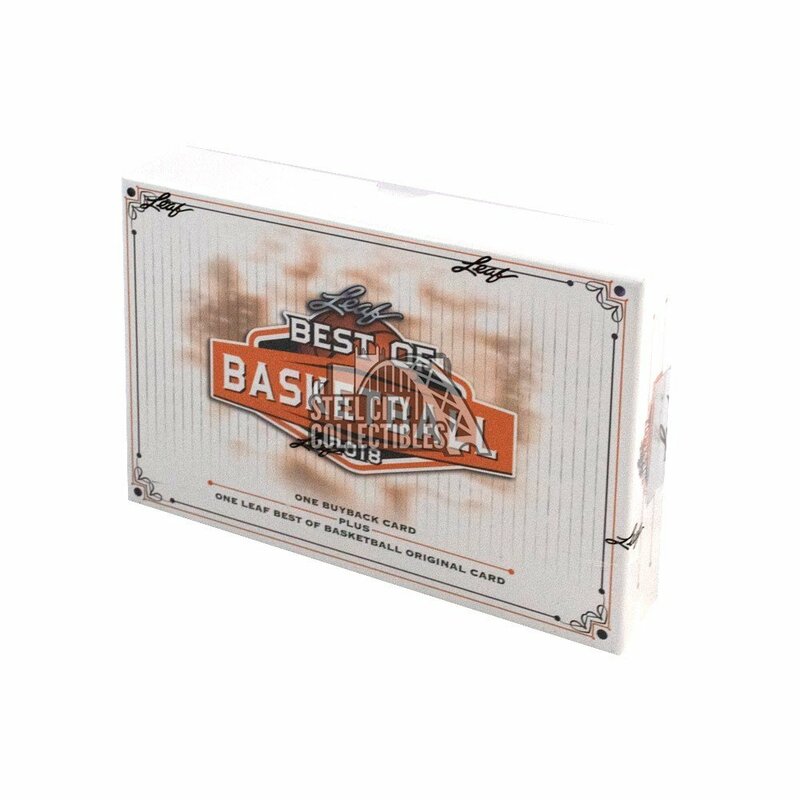 (1) buyback card or special item redemption + (1) Leaf Best of Basketball original card per box. With its completely new format for 2018, this product is an even better fit for breakers and retailers alike. As always, this set continues to feature everything that is amazing about basketball. This release features an amazing mix of rookies, stars, autographs and premium memorabilia cards. As a new addition for 2018, this product will randomly include redemptions of special items including sealed boxes and memorabilia items. This product has never been more fun to open!